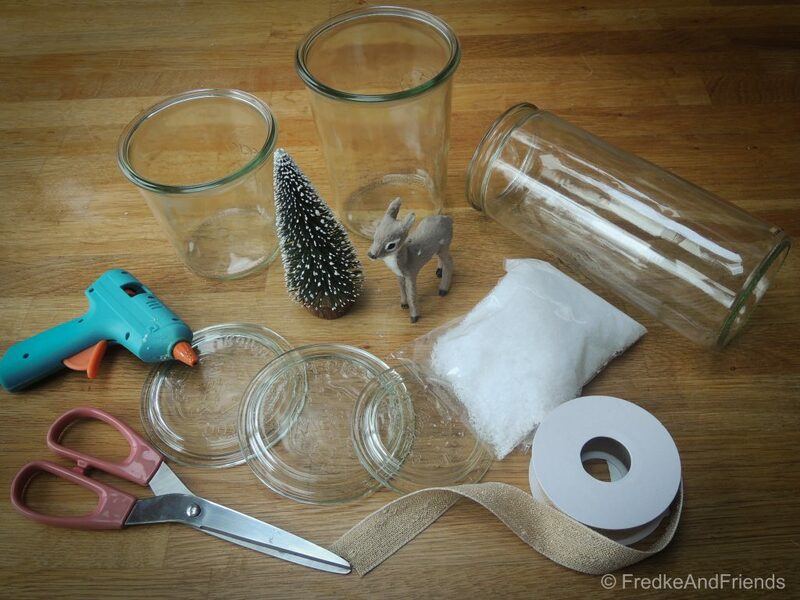 Now is the right weather to stay at home and to work on some winter crafts. If you are, like me, a big fan of the COCOTTES take away, you will also have some of their empty glass jars at home which you can easily reuse in your kitchen. But did you also know that you can use them for some crafts? 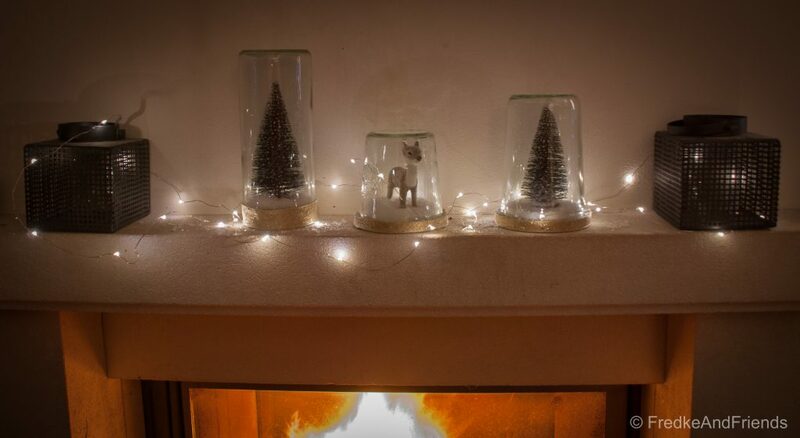 Me for my part, I just love to use them for this and last weekend I transformed 3 jars of different sizes into a winter landscape to decorate our chimney for the season. 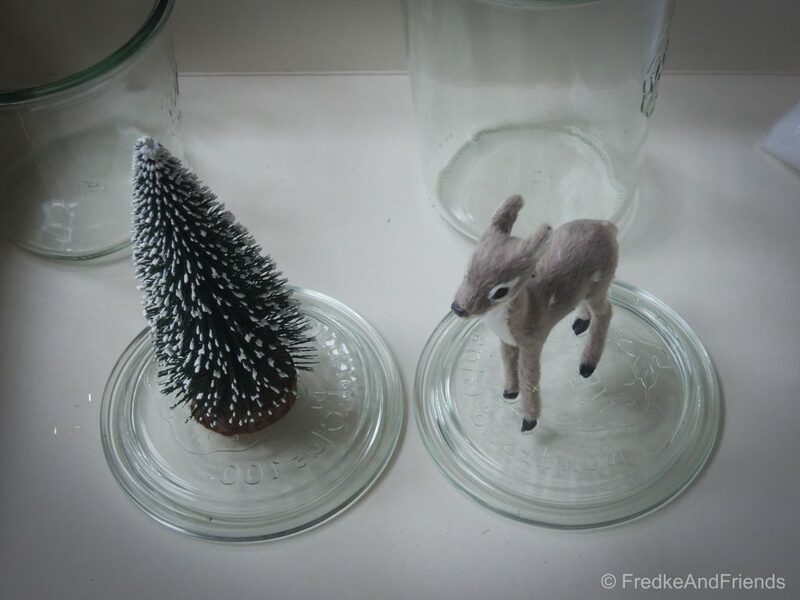 decorative objects, like fir, deer you can find in shops like Casa, Hema, etc. You have to check that the objects are the right size to fit in your jars. 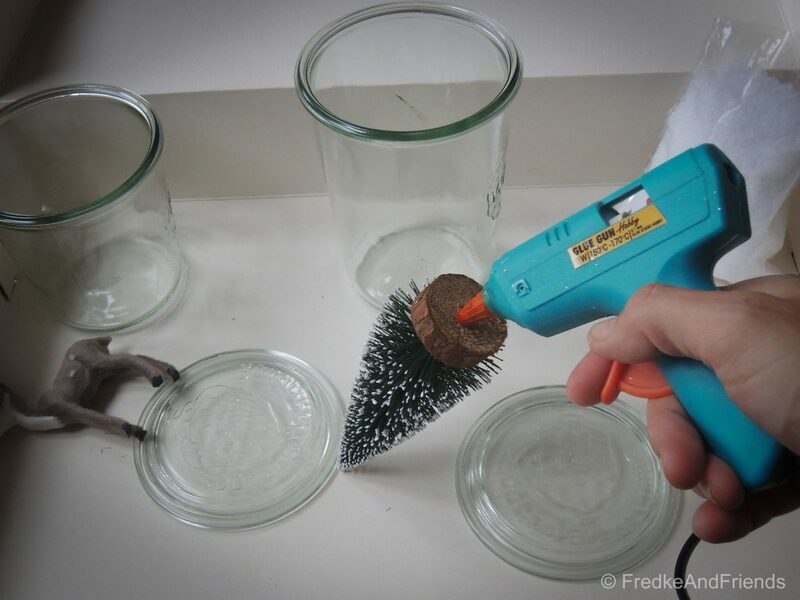 First of all, wash your glass jars and take off the glue of the COCOTTES stickers. 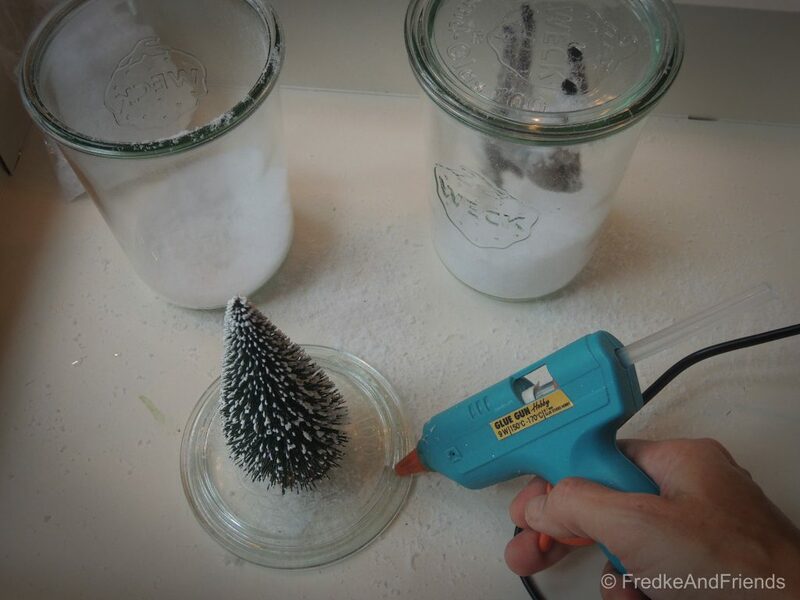 With the glue gun (pay attention not to burn your fingers as the glue is quite hot! 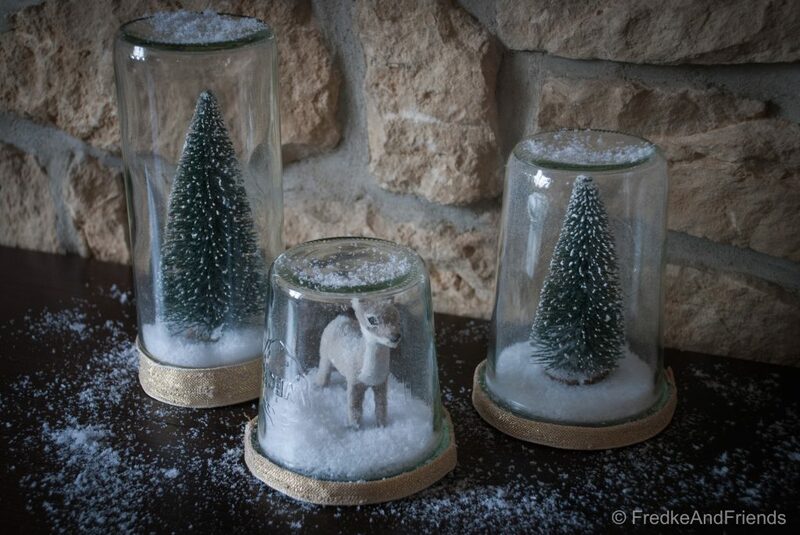 ), stick the decorative objects on the inside of the lids. Let it dry. 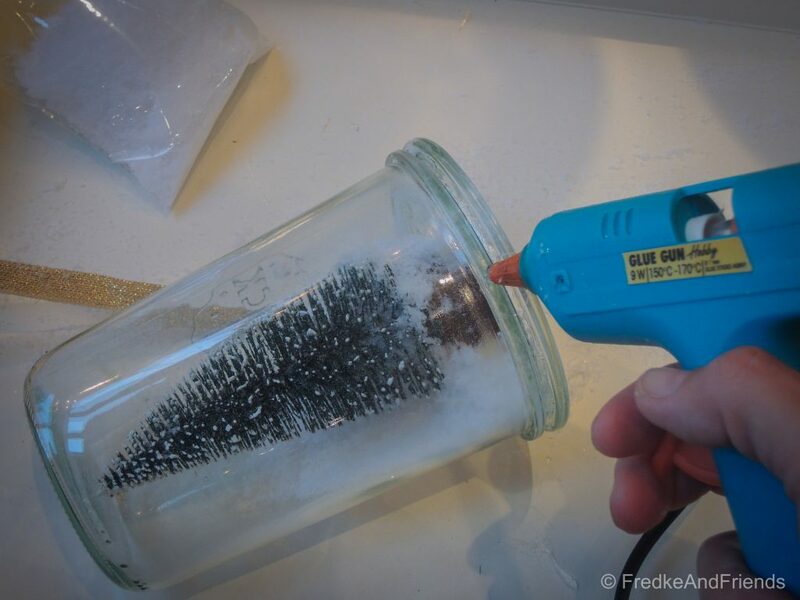 Pour some artificial snow into your jar. 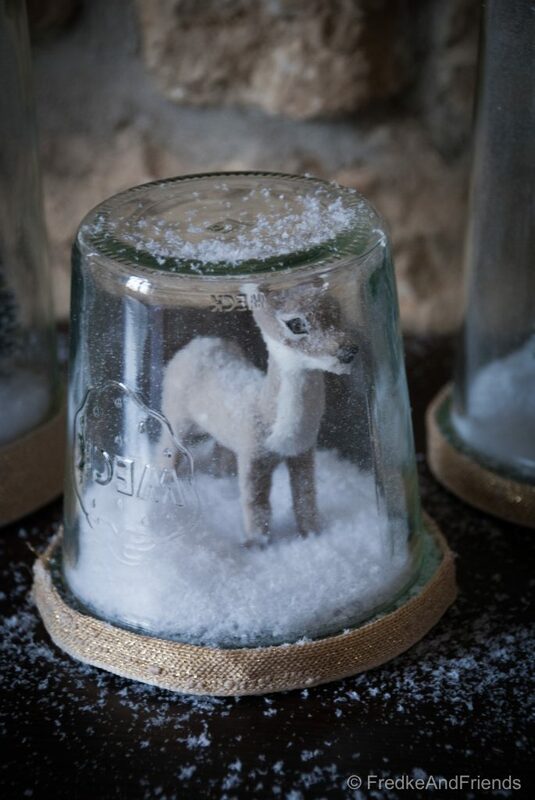 Put the lid with your deer on it, turn around toheck if there is enough snow in it. If not pour some more, otherwise you can also take some out of it. If everything is ok for you, take off the lid and put some glue around the neck before fixing it. Turn around. Cut off some ribbon and glue it around the neck of your jar. Repeat these different steps with the next jars. If they are all done, look for the ideal spot to install your winter landscape. 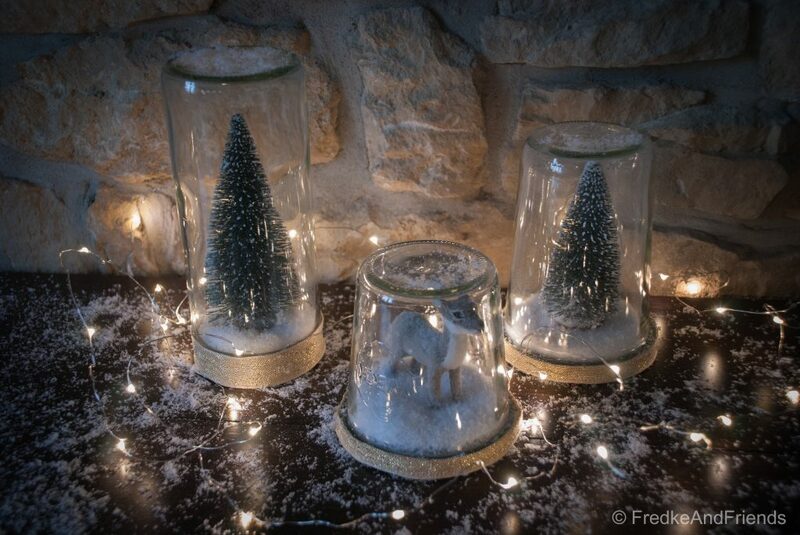 You can even put some more artificial snow around as well as some light strings to lighten up your winter landscape. Wishing you a lot of fun crafting!